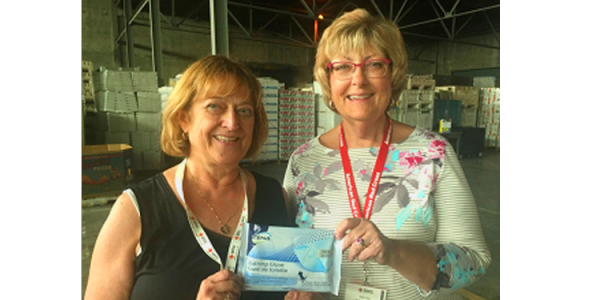 As relief and recovery efforts continue in California following the recent wild fires there, Essity, a global hygiene and health company with North American headquarters in Philadelphia, recently donated 50,175 TENA® Bathing Gloves (cleaning wipes) to support families in the Santa Rosa region. Working in conjunction with the Red Cross of Southeastern Pennsylvania, Essity delivered the wipes from its production facilities in Bowling Green, KY, to Sacramento, where Red Cross volunteers included them in their ‘comfort kits’ distributed to families who are beginning the long process of returning to their homes and cleaning up following the fires. To read the full article, click here. 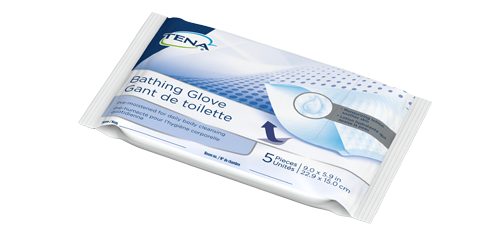 An innovative solution to better care for fragile skin, minimize cross contamination, and provide a more convenient and efficient routine for residents and caregivers. Learn More. 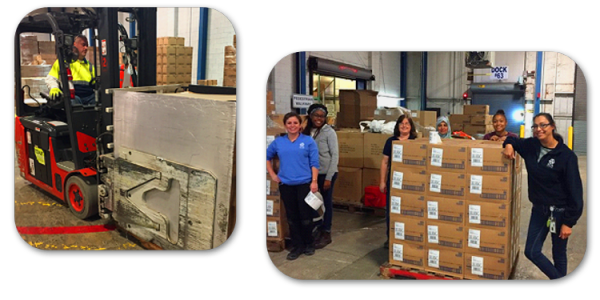 Red Cross Volunteers in Sacramento display one of the 10,000 packages of Essity’s TENA® Bathing Gloves recently donated to help with relief and recovery efforts for families affected by the California wildfires. Essity employee Brandon Page prepares the Bathing Glove shipment and then the Essity team packs Bathing Gloves for shipping to California. From Left to Right: Elise Sayre, Denaye Jones, Dixie Burris, Kaleda Abd, Ashton Hardin, and Carol Crockett. for your own personalized consultation, and to learn more about our products and solutions.